Phoenix belongs to the Community - a gang of thieves with paranormal powers. Yves Benedict - an American student visiting London - is her mark. But Yves turns out to be more than just a target. He is her destiny. Her soulmate. The Community owns Phoenix's past and it wants her future too. Can Phoenix save the boy she loves... and herself? 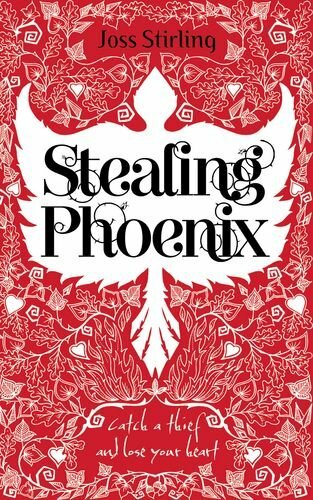 Stealing Phoenix is the prequel to Finding Sky by Joss Stirling, and having read Finding Sky I was sacred this wouldn't live up to it's prequel. In this book we first meet Phoenix at the construction site of the London Olympic Stadium, and we see Yves' as her "victim" as she is getting ready to steal some of his valuables from his backpack. This book takes place in London, where the Community - a gang of Savants who use their powers to steal, their leader being the ruthless Seer - is set in. I love how this book follows Yves and Phoenix, but how we also see the rest of the Savant Family. Though this book has a different plot to Finding Sky it's nice to see the familiar characters who link the two books together. I also loved the friendship between Sky and Phoenix and the added humor between the brothers. I loved Phoenix, she's lovable and caring and she's so tough, and the chemistry between her and Yves carries you across the page, you don't want to stop reading this book, literally you don't. I'm so glad we got to learn more bout Yves, in this book his character shone through, I loved the way he treated Phoenix, he was really sweet and gentle. They made an amazing couple. 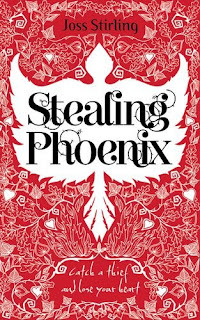 Overall, I loved Stealing Phoenix, a worthy prequel to Finding Sky. Cannot wait for Seeking Crystal! Click here for my review for Finding Sky.